empty glass bottle that we throw away normally, it turns out the other interpeted by Jim Dingilian. 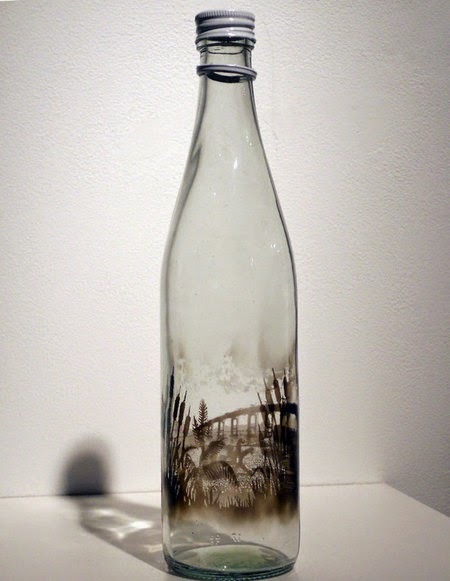 for him the bottle even more meaningful when the glass bottle is empty. 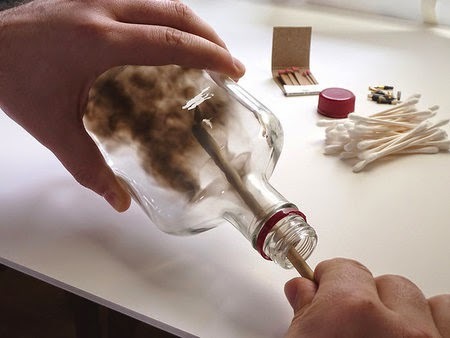 one of the amazing work of artist who live in New York this is 'smoky bottle ' that is a beautiful painting he created by a cloud of smoke that sticks to the wall of the glass bottle. 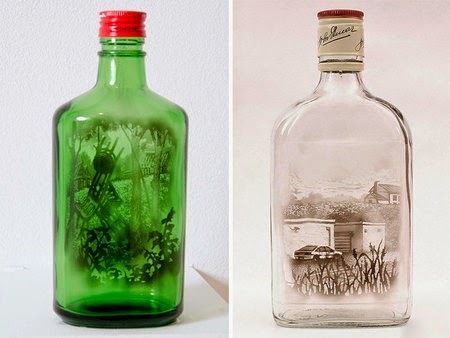 process begin with recycle or cleaning the glass bottle, after glass bottle ready painted the inside of the bottle fumed. then using a special equipment such as q-tip as a tool to paint the imagination that exist in his mind.